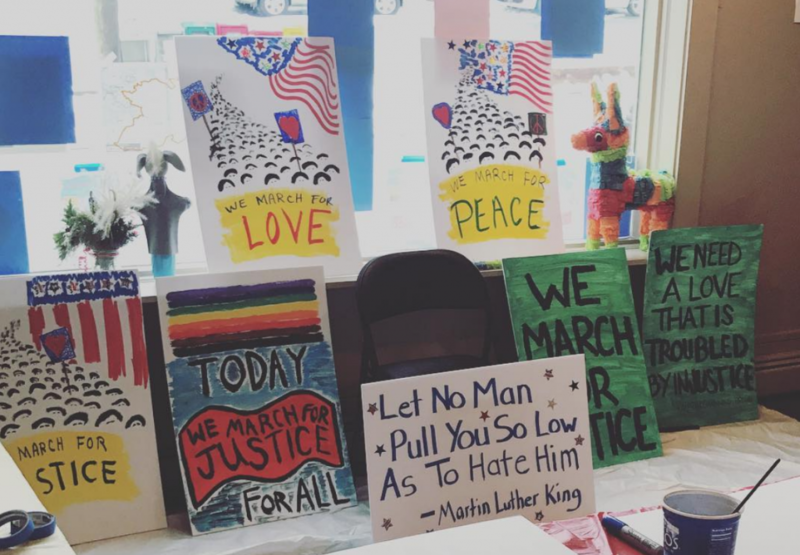 As preparations for Monday’s third annual CARE Rockbridge Martin Luther King, Jr. Community Parade down Lexington’s Main Street ramp up, organizers representing diverse area communities are pointing to the importance of recommitting ourselves to King’s dream today. This year’s theme, “We March for Justice,” visible around town in original artwork for parade t-shirts and posters, was selected to drive home the significance of continuing to work for a truly equal society, said Robin LeBlanc, CARE vice president. “When we think of how in today’s society a young African-American man who is a registered guest in a hotel can be told to leave and threatened with criminal charges while talking to his mother in the lobby, then we are compelled to march for justice because justice has yet to be fully realized for all in our country,” explained Rev. Reginald A. Early, pastor of Randolph Street United Methodist Church and CARE Rockbridge President, referring to a recent incident in Portland, Oregon. “People in the Latino community feel scared and worry that people are angry with us given all the negative rhetoric about immigration,” Lewis said. “We feel a little bit like we can’t even speak publicly about immigration until the political conflicts are resolved.” Lewis added that she knows a number of students at local community colleges and universities have “DACA” (deferred action for childhood arrivals) status, and they live in constant uncertainty about whether they will have the right to work when they finish their studies. “We need this parade. We need something to help us feel safe and open and free,” Lewis added. Project Connection, a teen-led, non-profit organization that connects local high school students with children with disabilities for monthly events that employ movement, art, and teamwork, has also chosen to participate in next week’s parade as a means of furthering equality and inclusion for members of society who are often marginalized. “CARE’s central message of love and unity coincides so well with PC’s tenets of community, outreach, and educating others,” said Project Connection President Abby Hamilton, a Rockbridge County High School senior. The non-partisan CARE MLK Parade will step off from in front of Lexington’s Randolph Street United Methodist Church at 10 a.m., Monday, Jan. 21. 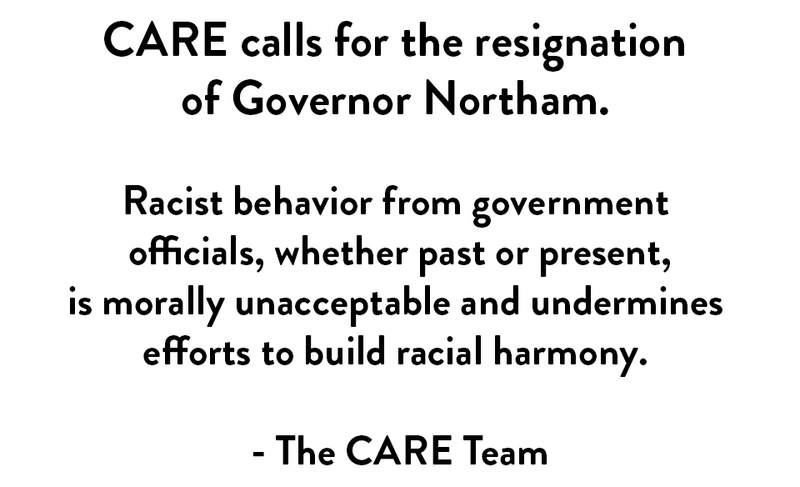 CARE stands for “Community Anti-Racism Effort.” CARE Rockbridge was founded in the Spring of 2016 to speak out about racism in all its forms, especially those that impact members of the Lexington and Rockbridge community. For more information about the parade, please visit our parade page.